When Johoreans talk about sports for the masses, two comes to mind immediately – football and rugby! Though rugby hasn’t garnered the huge and intense following as the Johor Darul Ta’zim Football Club, lovingly referred to as JDT, it’s nevertheless a sport that is very much part of the extra-curricular activity of practically every schools in Johor. When it comes to the long history of school rugby teams, Johor’s own English College rugby team, called Stingboks for instance, ranks highly with teams from Malay College Kuala Kangsar, the Royal Military College, Victoria Institution, and St John’s Institution. It’s no surprising that rugby tournaments are very much a part of the state’s sporting calendar. For instance on 8th and 9th December 2018 Johor hosted the Asia Rugby Under-18 (Boys) tournament with teams from Hong Kong, China, Qatar, South Korea, Laos and Uzbekistan vying for the championship. In an unexpected win, host Malaysia edged out China 19-17 to claim the 2018 Asia Rugby Under-18 (Boys) crown much to the delight of the locals. Even members of the Johor Rugby Union thought that Hong Kong would take the championship. The Johor 7s @Iskandar Puteri 2018 was also held over the same weekend as the international tournament to mark the closing of 2018. The two-day rugby carnival, as it were, also saw the inaugural women’s category being introduced into the state’s rugby scene. Keeping up the momentum, a new championship was launched on Saturday 23rd February. 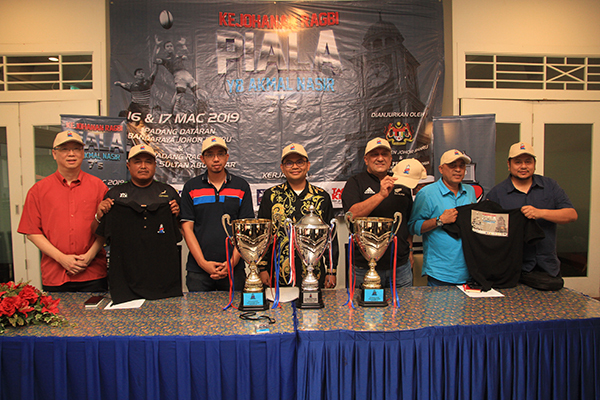 Called the Akmal Nasir (JB7’s) Championship it was launched by Johor Member of Parliament, Akmal Nasrullah Bin Mohd Nasir, or Akmal Nasir as he is better known, after whom the championship is named. The tournament will be held on 16th and 17th of March 2019 at Dataran Bandaraya Johor Bahru and the Maktab Sultan Abu Bakar (English College) field, also in Johor Bahru. Having a national flavour, 72 teams from across the nation with a team invited from Singapore, are due to take part in the three age-based categories of 16, 14 and 12 year olds. 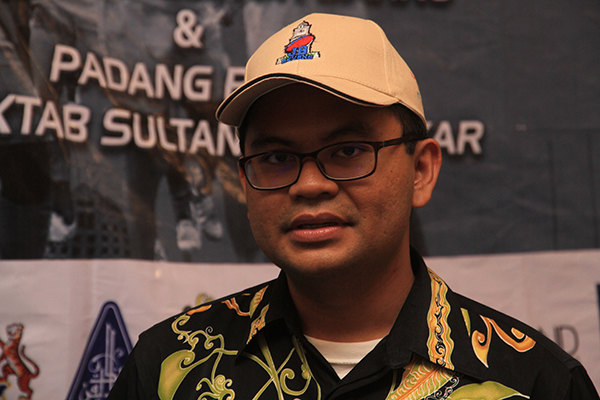 “Each category will have 24 teams competing under eight groups,” said Akmal Nasir. “Unfortunately for this kick-off tournament, we will not have any girls’ team, but we are hopeful that we’ll have them competing too next year,” he continued. According to an official of the organising committee, there are at least 10 schools in Johor with an all girls rugby team. The Akmal Nasir (JB 7’s) championship is being organised by the Office of the Johor Bahru Member of Parliament and the Persatuan Kebajikan dan Keharmonian Larkin, Johor Bahru, with support from the Johor Rugby Union, the education departments of Johor State and Johor Bahru district, Maktab Sultan Abu Bakar (English College), the Johor Youth and Sports department, Johor Bahru City Council and Hospital Sultanah Aminah. “We would also like to thank our sponsors, namely UMLand, Tackle Globe Sdn Bhd, Satay House, Restoran Ayub, Syarikat Jakel, and Hookah Johor Bahru,” Akmal added. The prizes are in the form of Cup, Plate, Bowl, Shield and medals with the prospect of cash of an undisclosed sum as well.